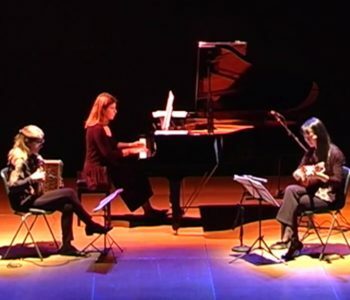 The German mandolin player Anna Torge has studied modern and historical mandolin at the music university Köln/Wuppertal with Prof. Marga Wilden-Hüsgen. 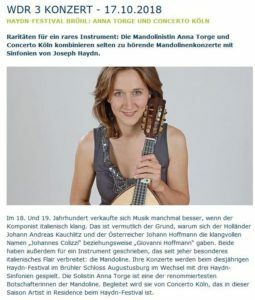 Anna Torge has played two mandolin concertos in a concert of the Haydn-Festival in Brühl. This concert has been recorded by the WDR radio station and is available for streaming for a limited time. The concert is available for streaming until Nov. 17 2018 on the WDR website and also on Soundcloud. 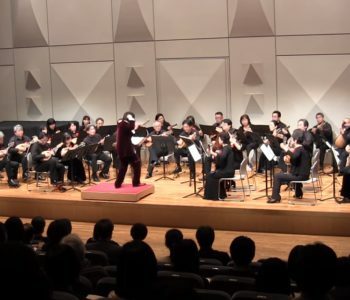 The Japan Mandolin Union (JMU) has held their 50th anniversary this year. 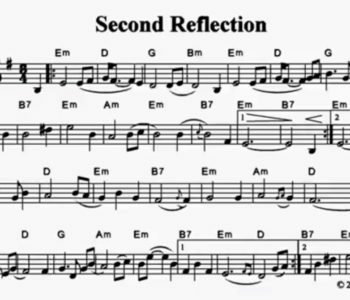 Beside the publication of a regular journal about mandolin activities in Japan the JMU every two years a solo mandolin competition is executed.